Celebrate success or encourage your favorite track participant to reach his or her best with the our track champ's the star personalized Christmas ornament from Russell Rhodes! 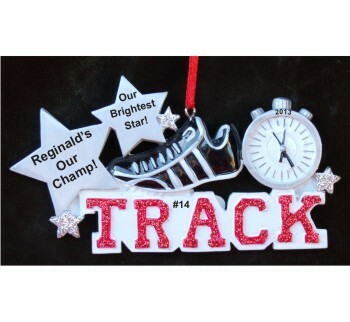 Sporting an authentic track shoe, stopwatch and plenty of bright glitter, these sports ornaments personalized as special mementos look great on the tree or hanging like charms from an athletic gear bag. Give us his or her details, and one of our artists will paint them on by hand where shown but in a stylish font. 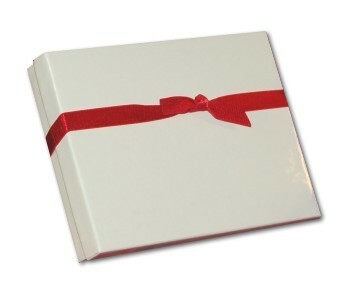 The track and field personalized Christmas ornament arrives ready to display in our custom velvet gift and storage bag. Christmas Present Dec 27, 2013 Michele M.